Auchtoon! » Who’s Gonna Clean up the Mess After the Lame Duck Party? 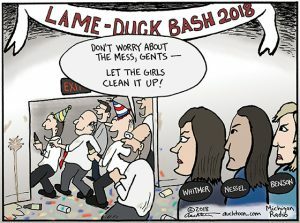 Who’s Gonna Clean up the Mess After the Lame Duck Party?